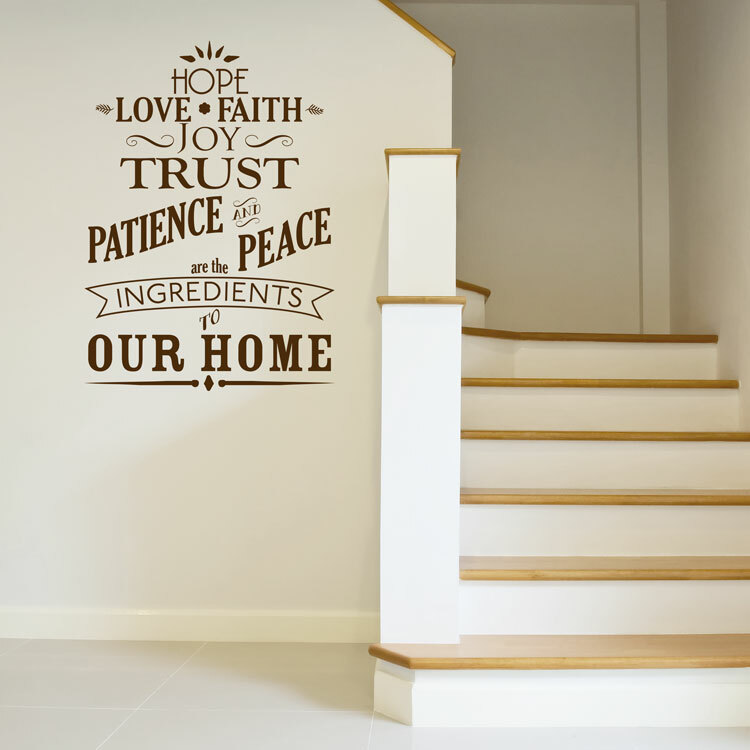 Hope Love Faith Joy Trust Patience Peace are the Ingredients to our Home. This quote decal, like many others, is a Dali Decals original and exclusive design! This design was created to mimic a chalkboard sign, but without the mess! 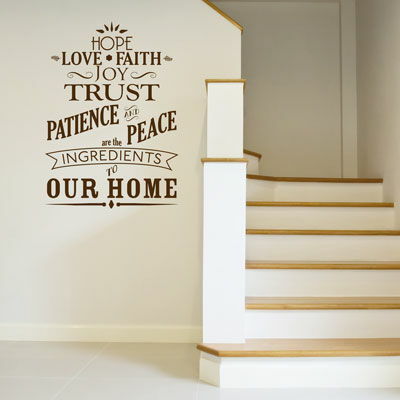 This inspirational wall sticker is ideal for an entrance, foyer, garage door, laundry room, bedroom, dorm, apartment, office, your child's space, or anywhere with a smooth, flat surface! These decals are incredible, easy to use, durable, colorful, and make a room look awesome. Dali is the best and will bend over backward to please you. I have made a gorgeous headboard from various flowers and leaves, and it's been shining down on me for a year now. Still love it. Thank you Dali for a terrific product.